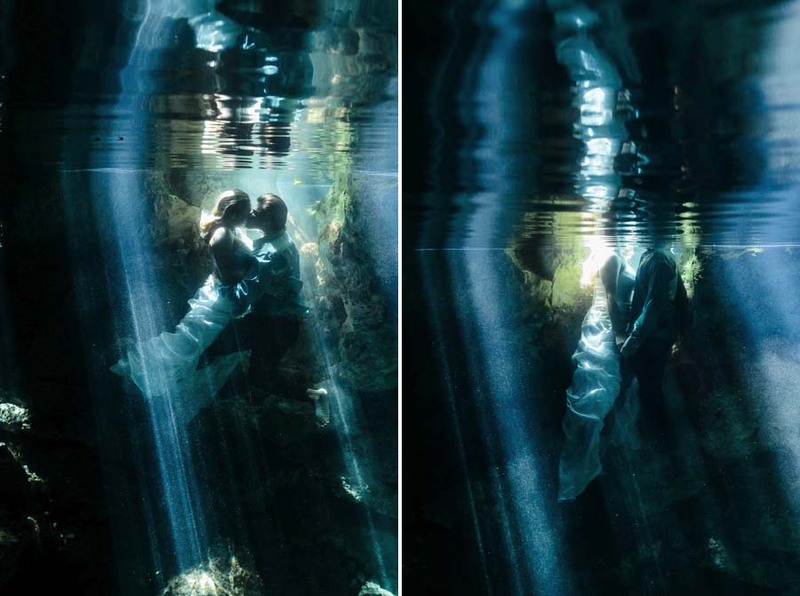 We have a one of a kind feature in the Mayan Riviera located south of Cancun along the underground river there a many openings to the underwater fresh water system that follows the coastline. 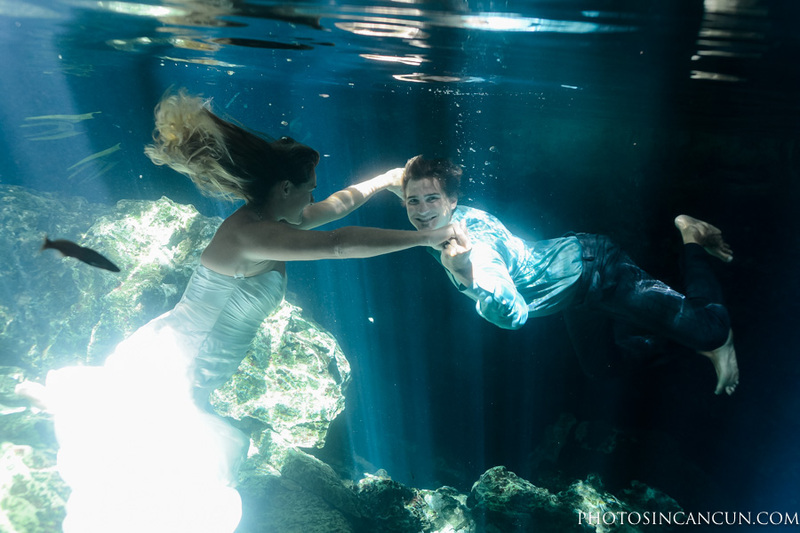 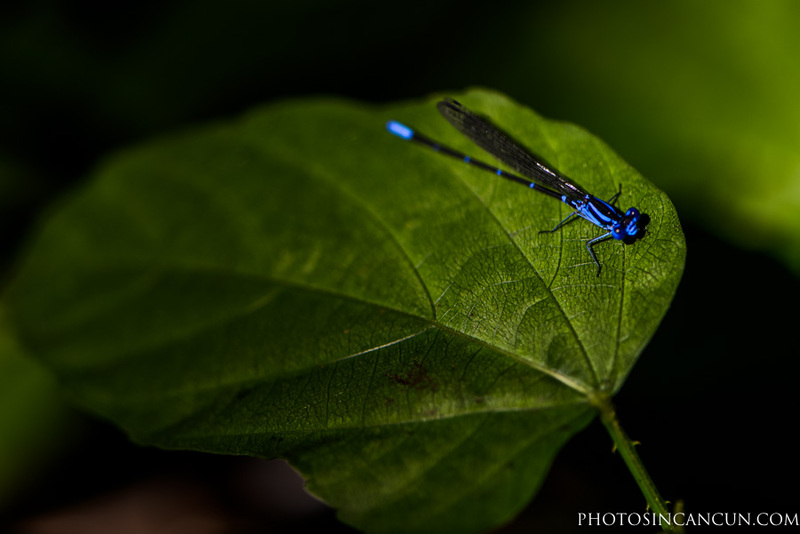 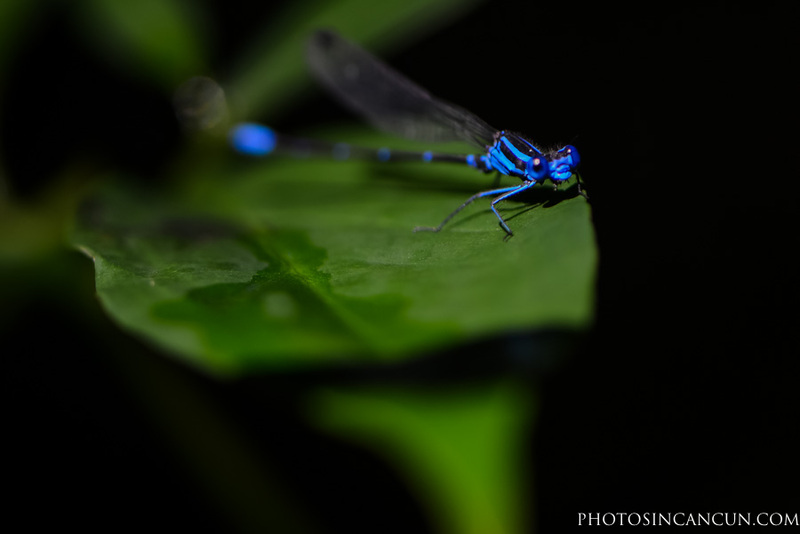 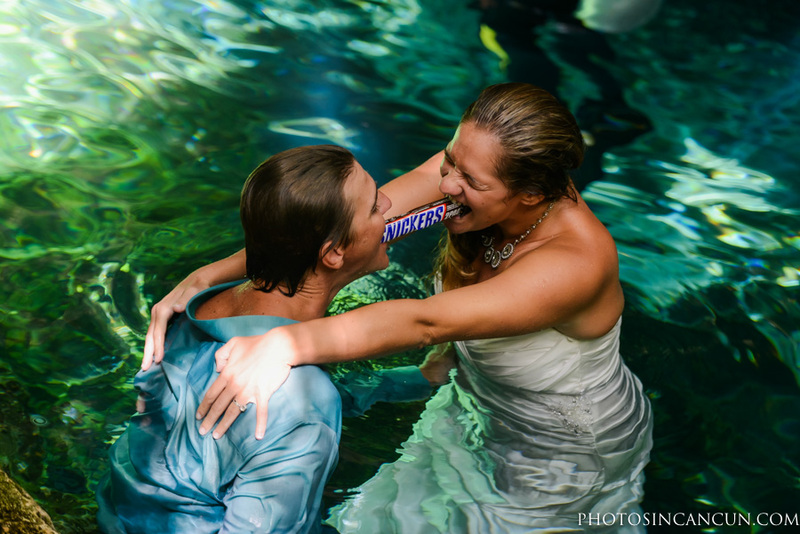 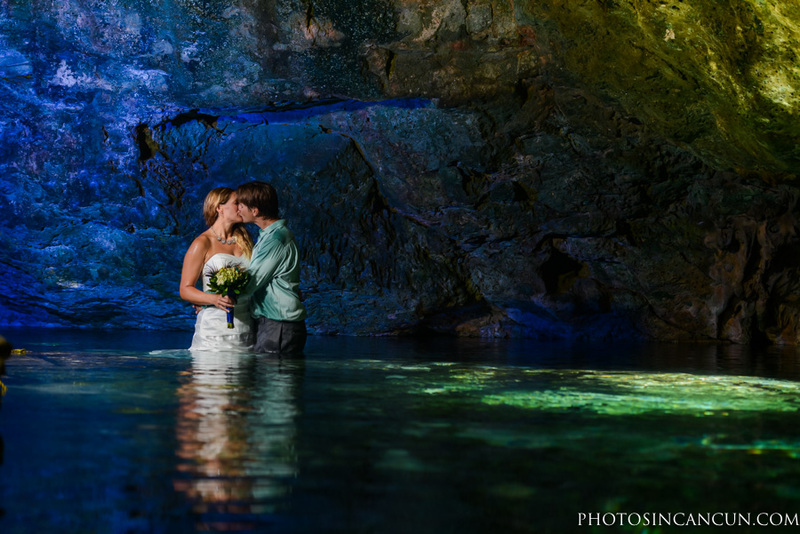 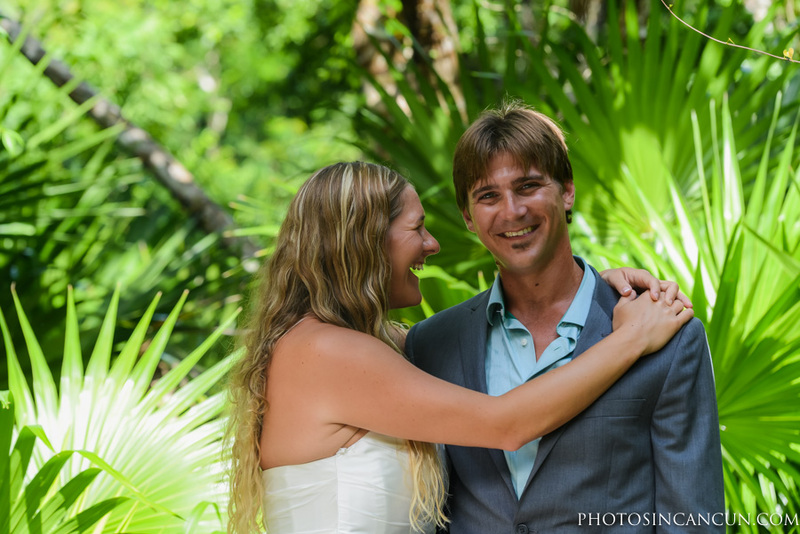 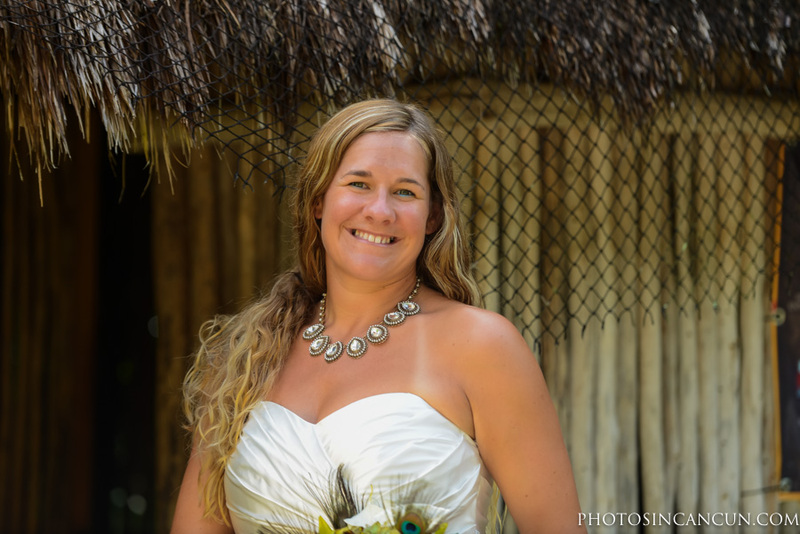 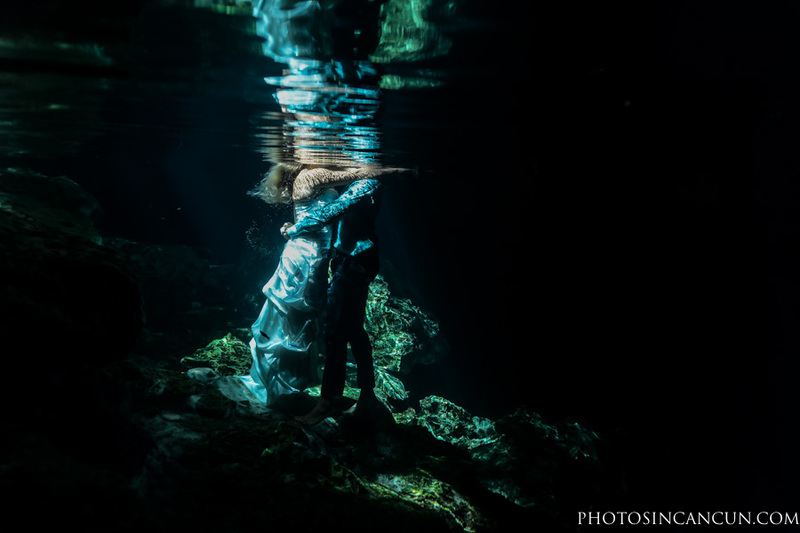 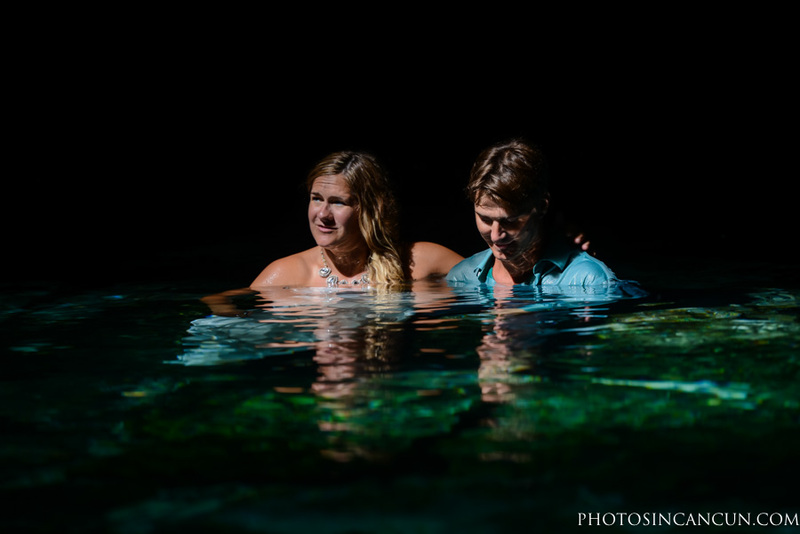 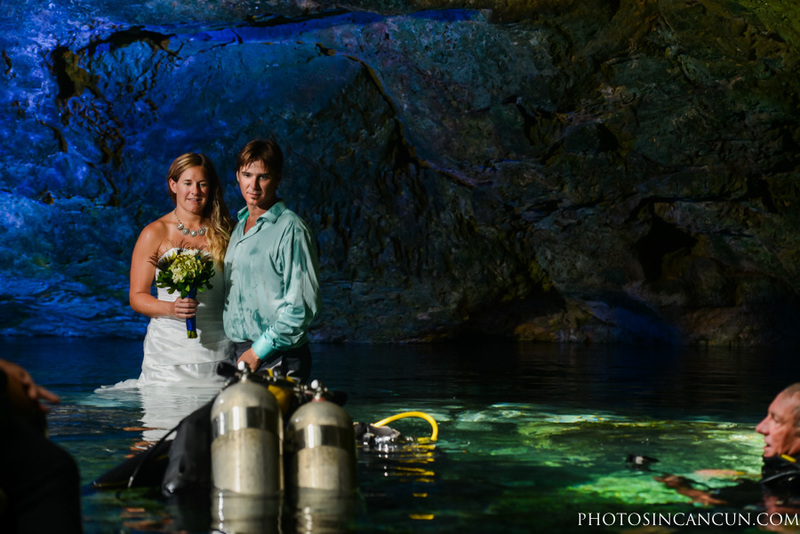 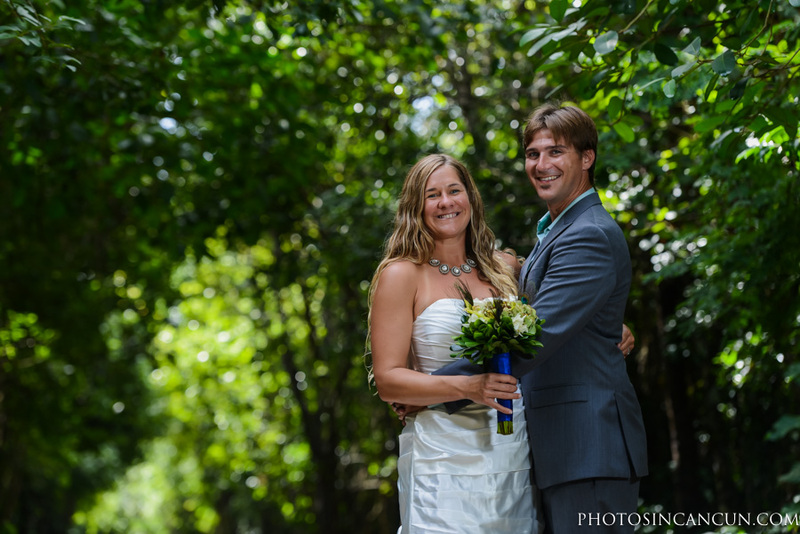 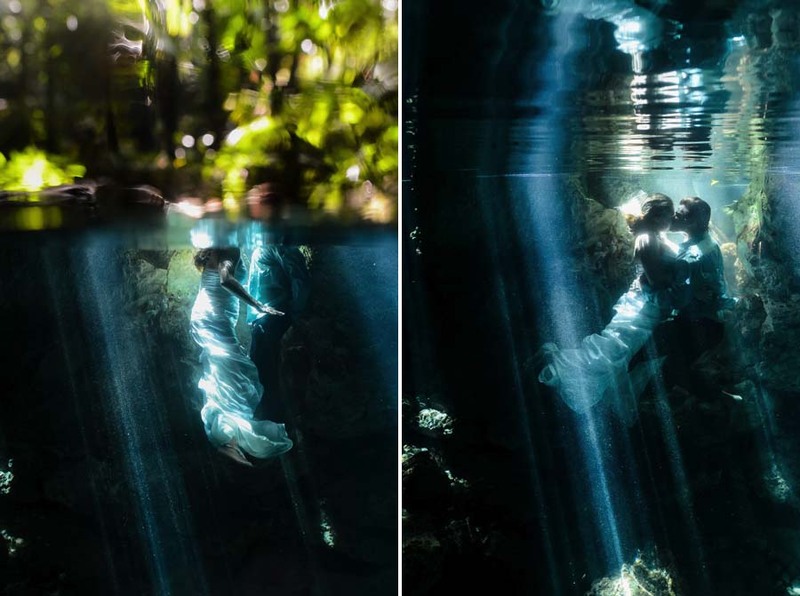 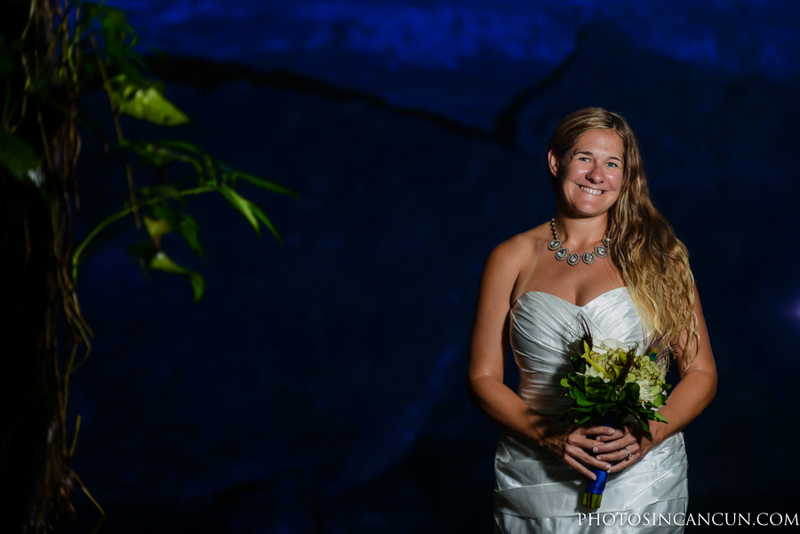 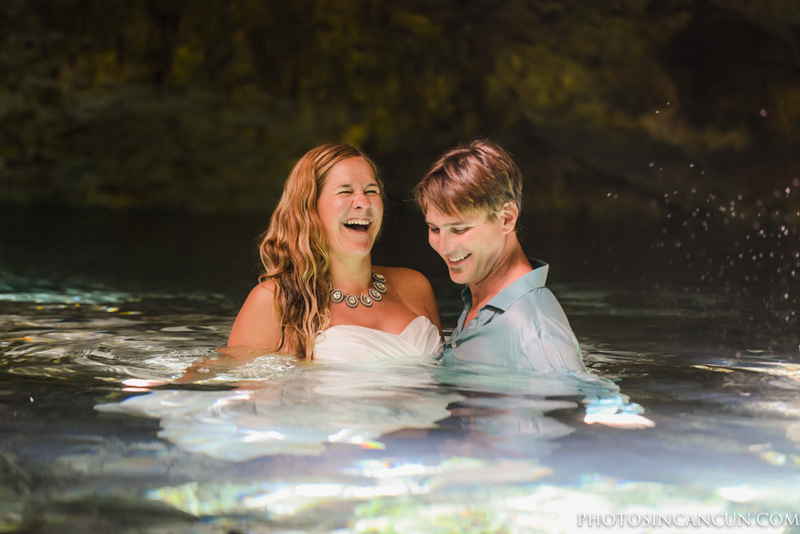 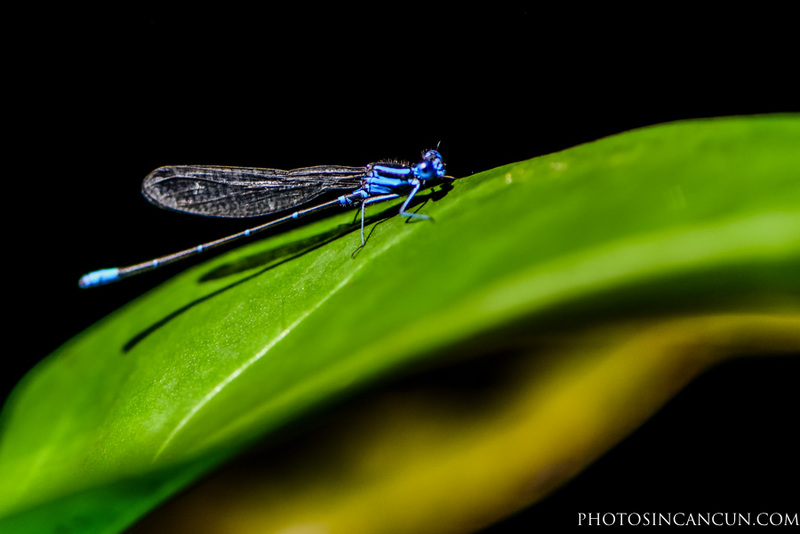 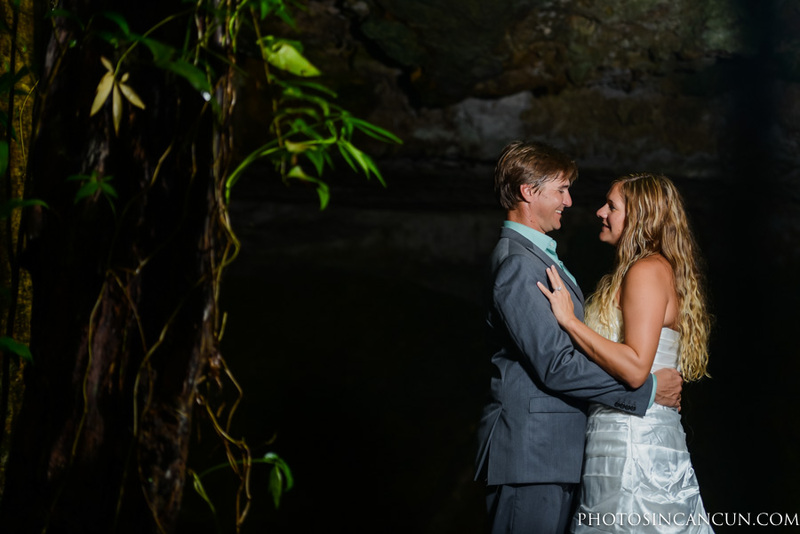 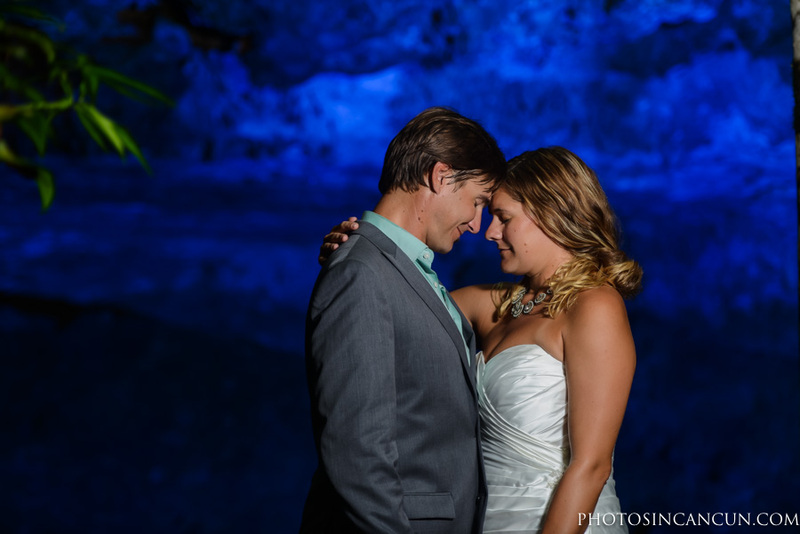 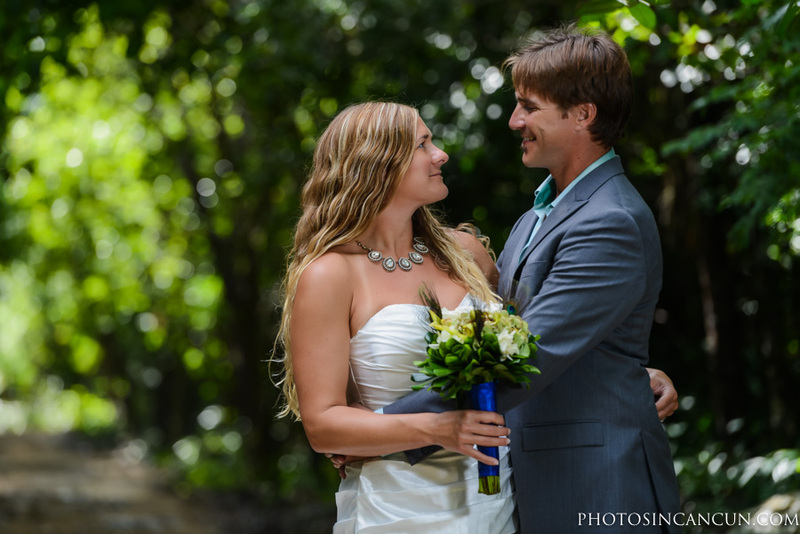 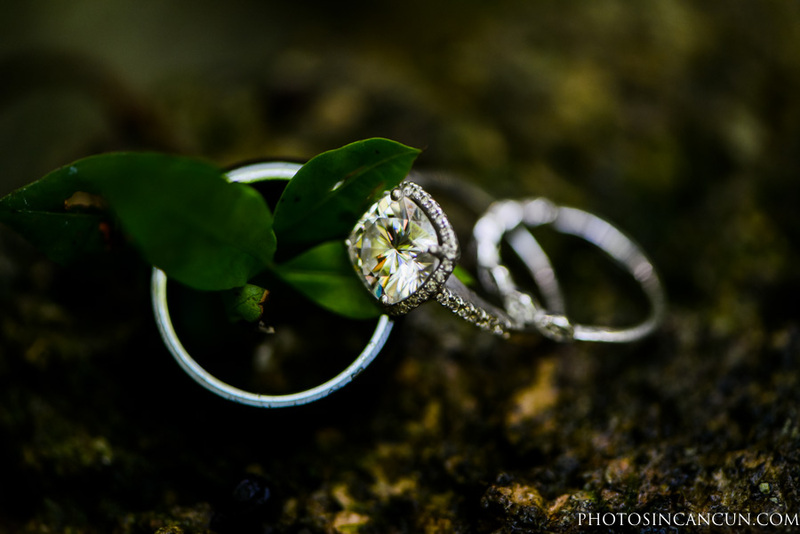 These Cenotes are magical places that are a must see for vacationers and for us it is must do after your wedding for dynamic amazing photographs under the water. 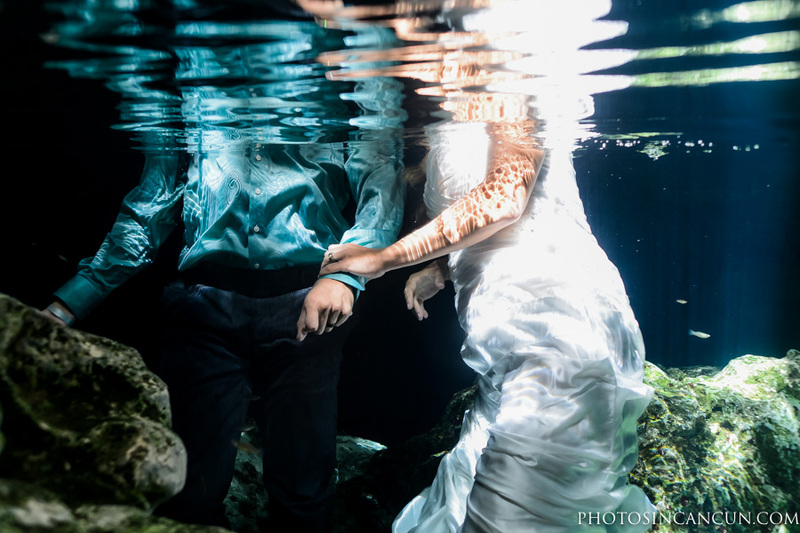 Let us know if your brave to come and take a swim with us !